Clinicians refer to Sincere Delusions as mental and emotional fixations where we buy into the idea that we can control an uncontrollable situation. We often harbor Sincere Delusions because they prevent an accurate realization as to the extent of our problems; in fact, we hold them so tightly that painful realization often won’t eradicate our delusional thinking. Eventually our delusions and our sincerity become fused. We begin, in essence, to believe our own lies. The only downside, of course, is that there’s only one Sonic Screwdriver and it belongs to you know (Dr.) Who; which means it doesn’t exist, just like The Strategic Quick Fix. 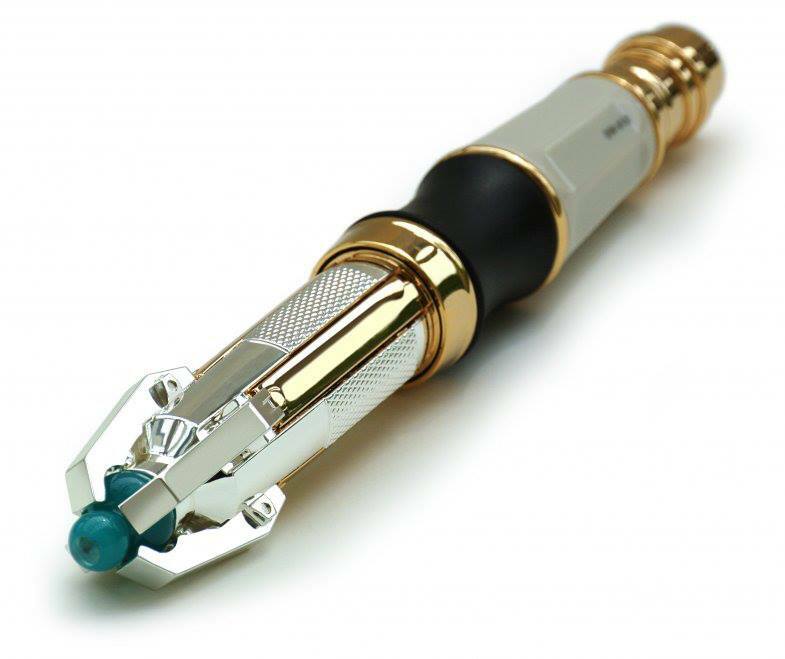 And we’re deluded, albeit sincerely, if we think the Quick Fix, or the Sonic Screwdriver, actually exist. Entrepreneurs are amazing. They are the innovators and risk takers that change our lives. They live each day on the cliff’s edge, and spin more plates than a short order cook. They think they can’t slow down, if they do their “baby” might stall. It’s natural for them to want the quick fix. And so they remain sincerely deluded. They seek the operational bandaid or “Strategic Sonic” and hope to maintain momentum. A few years back we helped the Founder of a $20 million service business affirm a problem that could not be fixed. The CFO of her company did not have the expertise to handle the financial challenges to scale her company. That wasn’t the problem, however. The problem was that her current CFO was also her best friend; a loyal compadre who had worked long hours for several years with a title in lieu of a salary to grow the company to its current status. There was nothing our client could do to “fix” her friend’s experience, and she needed higher tier help immediately. She couldn’t fix the problem; so she made a gut-wrenching decision and fired her friend. Some problems just aren’t fixable. There are two terms that are gaining prominence in the tsunami of “Big Data”: Apophenia and Patternicity. Apophenia is seeking patterns in random noise that don’t exist. Patternicity is finding patterns that do exist. After working with thousands of company executives over the past 20 years; we know that we have experienced both Apophenia and Patternicity as we’ve accumulated data and made assumptions on that data. Some of our assumptions are data-driven via survey with over 500 CEO/Founders and their leadership teams; but some come from interviews and interactions with these same individuals. We believe that CEO/Founders of growth companies have a lonely job. The weight of the entire business sits on their shoulders. Often they get buried in the operations of the business and get pulled away from the thing they do best, that skill that fueled an idea into a business. They need more than an operational fix to scale their company, they need help from someone who’s been over their dusty trail; someone they trust that brings experience and expert advice when needed. That individual might be a Board Member, a mentor, or an outside trusted advisor. Many Founders fear that the business might outgrow them, but they press ahead, heads down – feet moving, alone in their frantic effort to maintain momentum. The sincere delusion that they don’t need help might be the biggest reason that 90% of growing companies fail. The sooner these talented Starters get objective about their company and ask for advice, the sooner they will stop seeking the illusive “Screwdriver” and start beating the odds to scale their business. And that’s a good thing because I doubt the Doctor would ever part with his Sonic.